"Where do you want to eat? I don't know, where do YOU want to eat?" You know how it goes... For anyone who has ever taken a trip with children AND grandparents, you'll know that it can be often be difficult to find a place to eat, or things to do that suit everyone. Add to that possible mobility issues and the possibility of a lot of baby gear, and multi-generational travel can feel overwhelming indeed. Now that my parents are retired, they want to travel with their grandson, and we try to travel with them as much as possible. But traveling with my parents (in their late 60s and not very mobile) AND a toddler can be a challenge. There is something for everyone - From food to activities to entertainment, there are offerings to suit every member of the family. We go to the pool, Grandma goes to a destination lecture, Grandpa relaxes on deck and reads his book. And we are all in within close proximity. Seeing a number of places and only unpacking once - As it can be a challenge to schedule a multi-generational trip, cruising provides the opportunity to see a variety of places in a short period of time. And you only have to pack and unpack once. Priceless! Easy logistics - Unlike land-based travel, cruising takes some of the hassle out of arranging transportation from place to place (Will we all fit in one vehicle? What car seat options are there for B? etc.). On a recent cruise from Dubai to India, it was a bonus to be able to cross several time zones gradually rather than all at once. Available medical care - Most cruise ships have some level of available medical care and access to common medications, though the hours and extent of care varies depending on the cruise line. On my son's first cruise (at 7 months old), he came down with a really high fever. It was reassuring to be able to pop him down to the doctor at 2 am for advice. I also appreciate having it available should my parents encounter any issues. Having had to get medical attention in several countries through the course of my solo travels, I know how challenging it can be to find good care in a language you can communicate in. If the thought of traveling on a huge cruise liner with a few thousand other passengers sounds off-putting, keep in mind there are a lot of smaller-scale options too. While the most popular river cruising options don't cater to kids, they will accept them over a certain age (read about river cruising with kids). There are also many small ship cruise companies who are more welcoming to the younger set. Lindblad Expeditions welcomes families on any of their expeditions. According to Lindblad, the number of families traveling with them has grown so substantially, they "will have staff on all Alaska, Galapagos, Costa Rica Family and Greek Isles Family departures that know how to inspire curiosity in young people of all ages." But where Lindblad really excels is their emphasis on shared experiences. Rather than children and adults doing separate activities, most of their activities are done together. Hurtigruten is a Norwegian passenger ferry and freight line which sails daily along Norway’s west and north coast. Over the course of 12 days, the ship covers nearly the entire Norwegian Coast calling in at 35 ports along the way. While they don't specifically cater to kids, they are certainly welcome aboard. Read about cruising with a toddler on the Hurtigruten. 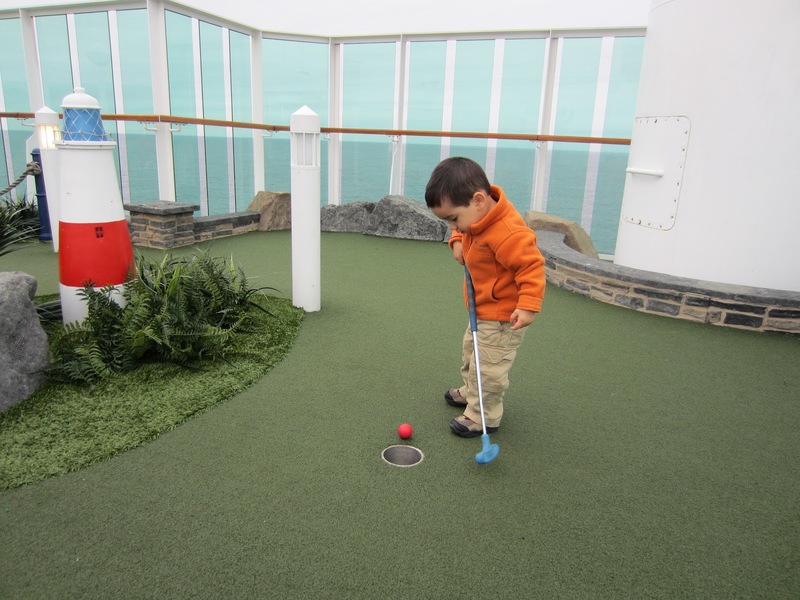 Have you done a multi-generational cruise or other holiday? What worked (or didn't work) well for your group?